In just a few weeks, Hugh Jackman will be taking on the role of Wolverine one last time for LOGAN. If you have no idea what to expect from the film, I’m here to help! First of all, I am so glad Jackman pushed for the R-rating despite his pay cut. Because if Deadpool has taught us anything it’s that superhero movies do not need to be PG-13 to be successful. 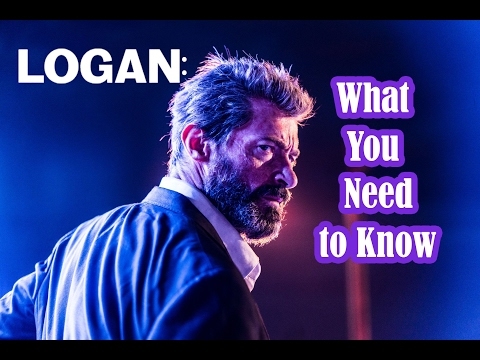 Moving on, this film takes place in 2024 when the mutant population has shrunk, the X-men have dissolved, and Logan’s self-healing powers have weakened. He’s aging, old, and pretty much just drinks and earns money as a chauffeur while taking care of good old Professor X. But one day, a stranger asks him to drive a girl named Laura to the Canadian border and he refuses at first because there’s something very, very special about this girl. Professor X has been waiting for Laura to appear, knowing that she was somehow connected to Logan and that she possesses powers very similar to Wolverine’s, himself. So naturally bad people are trying to find her for her DNA, DNA which holds the secret to her connection with Logan and that’s the main premise of the film.